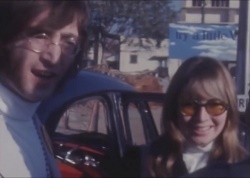 Notes: This Reuters colour newsreel shows John & George and their wives arriving in New Delhi in India. 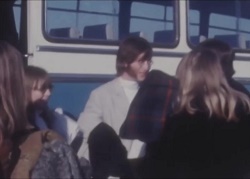 John also shot some colour home movie footage of them at the airport and of George & Pattie leaving in a taxi. 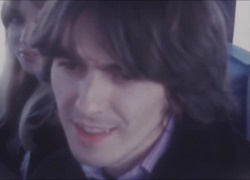 There are also snippets from a black and white newsreel available too.